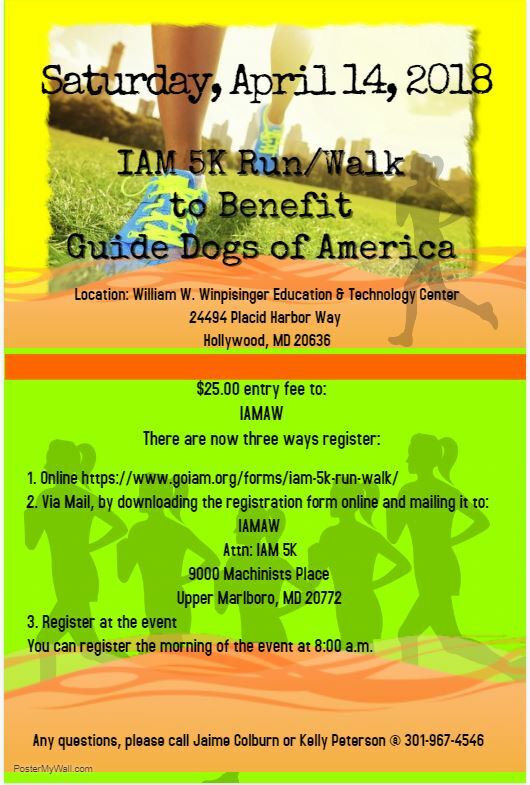 Support Guide Dogs of America by taking part in this year’s annual IAM Run/Walk Saturday, April 14, 2018 at the William W. Winpisinger Education and Technology Center in Hollywood, MD. 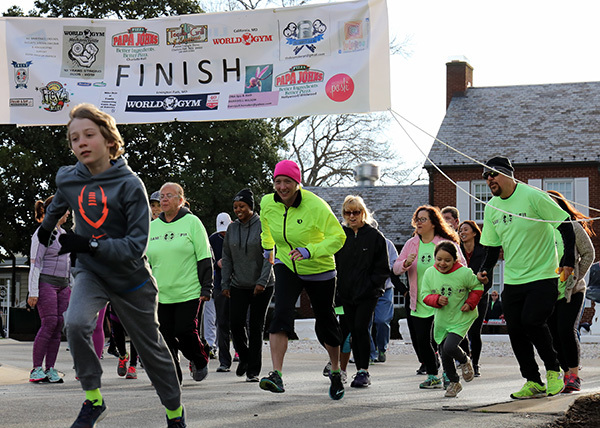 The IAM 5K is held on a perimeter trail around the Winpisinger Center. It is not a timed event. Prizes will be awarded to the top overall male and female finishers. The registration to fee is $25 and individual donations are welcome for those unable to take part in the event. All proceeds will benefit Guide Dogs of America, which is a registered 501(c)(3) nonprofit organization. GDA, founded by an IAM member, is dedicated to their mission to provide guide dogs and instruction in their use, free of charge, to blind and visually impaired men and women from the United States and Canada so that they may continue to pursue their goals with increased mobility and independence.